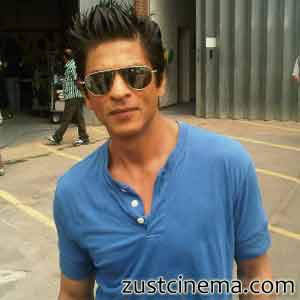 Bollywood's King Khan and the bussiest star Shah Rukh Khan has recently said that he loves when he does "nothing"! Shah Rukh in a twitter post tweeted as "In the mode of doing nothing. sometimes listless...aimless...workless makes it the most satisfying experience of the day,"
Further added "There is an Urdu line...jo kuch nahi karte woh kamaal karte hain (Those who don't do anything do wonders)... in London doing awesomely nothing,"
Currently Shah Rukh Khan is busy in shooting of final scheudle of his forthcoming mega-budget movie "RA.One".Shah Rukh is producing the movie in his home banner Red Chillies along with Eros Entertainmets.